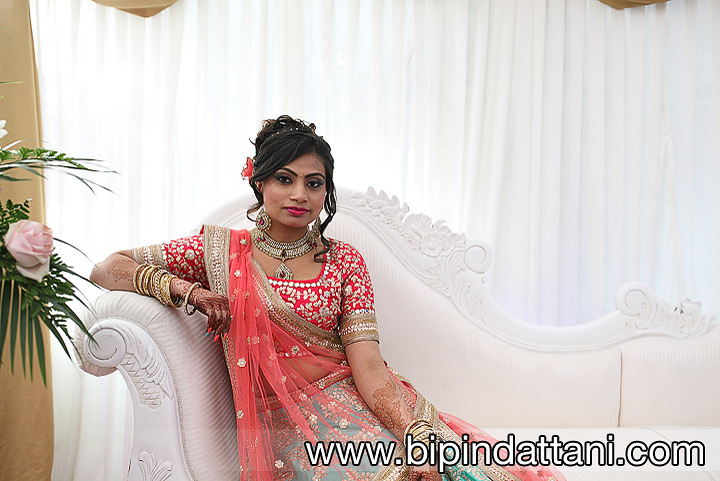 Zalak & Viral’s Indian Engagement Photography at Mumbai Junction Restaurant Harrow. This is a local venue near me, only a short drive. 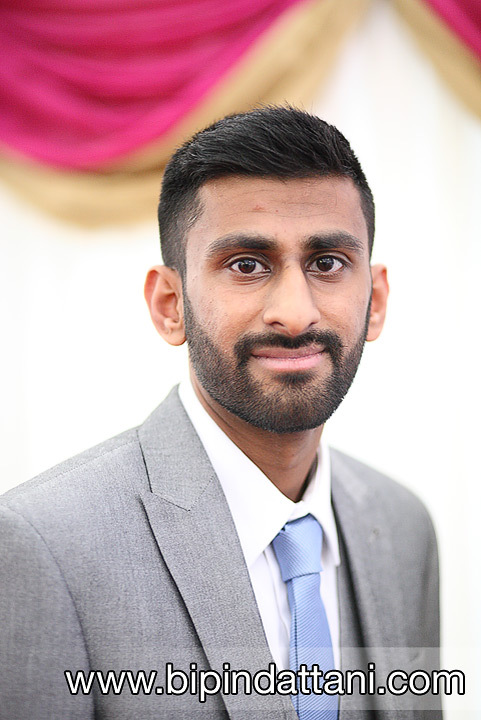 We had arranged to do the couples portraits early followed by a few family photos before the rest of the guests arrived for the party. Zalak was having her makeup and hair styled for this very occasion so wanted to capture photos as early as possible. This is when they would both be relaxed and look their best. 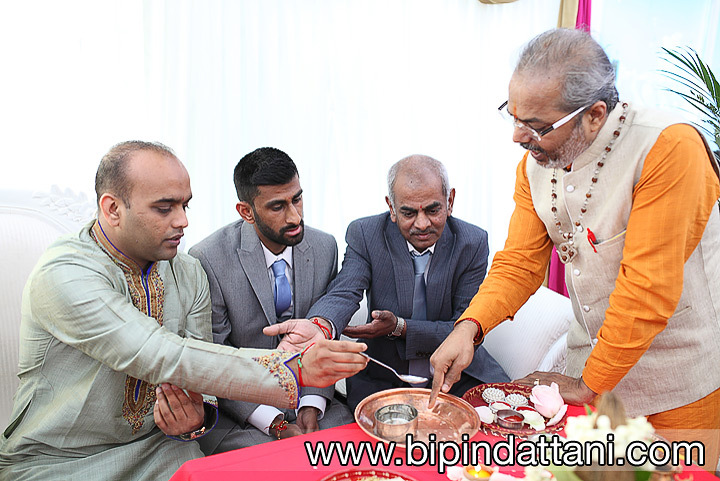 As per traditions, a local Indian priest conducted the brief ceremony, followed by engagement ring exchanges, cake cutting and then the party started with the first dance. 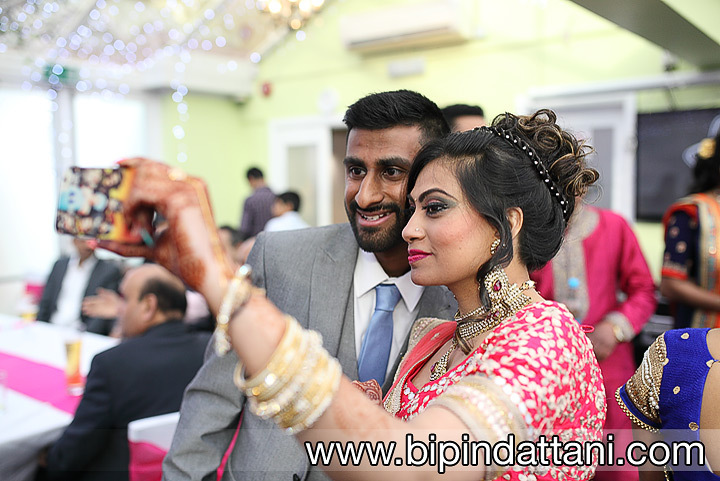 Just a few of my favourite Indian engagement photos from the event. 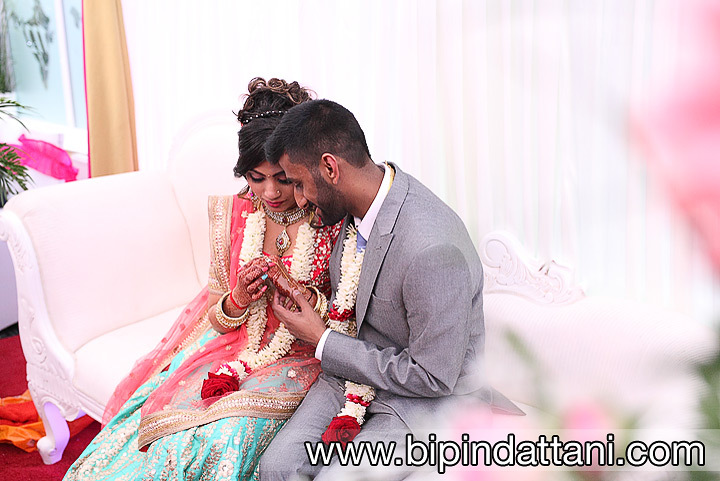 No Indian Engagement Photography is complete without taking the Indian ring ceremony photos in a natural and caring manner that Bipin Dattani Photography specialises in. A new kind of photography rather than the static poses and pictures that some engagement photographers in London are keen on !